In the frenzy leading up to Trufflepalooza, my annual truffle-laced foodgasm party, I get so caught up in the preparations that I forget something very important. I forget to feed my family. And myself. When the refrigerator is full of ingredients for 20 dishes for 150 people, there's very little room left for actual food that hungry husbands and kids might want to eat for breakfast. The solution: pizza. Or pulled pork from the freezer, tossed into quesadillas. Or scrambled eggs. Or, on the day when I was craving chocolate peanut butter cups but a) couldn't leave the house because I had 300 homemade corn tortillas to press and griddle and b) had a huge but mostly empty jar of roasted salted cashews from Costco that was taking up way too much room in the pantry, this simple chocolate cashew butter. Got a food processor, mini-chopper or blender? This is what it's for. 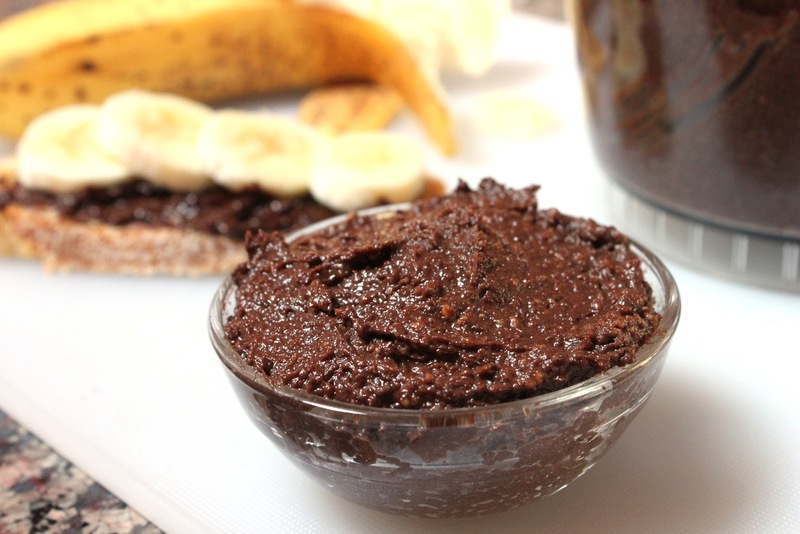 Pour in the nuts and chocolate, hit the button, wait a minute, and you've got chocolate cashew butter, something really delicious and decadent to spread on your morning toast. I was going for a healthier version of Nutella but opted for grainy rather than silky-smooth. Felt more like health food that way. If you want it smoother, pour in a little milk or cream and be patient with your appliance. 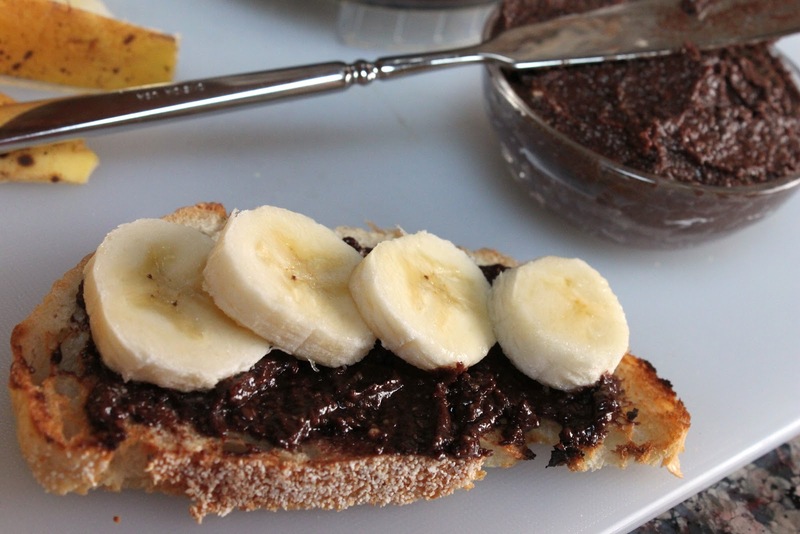 Two or three ingredients + a powerful electric appliance = a delicious chocolate nut butter to spread on your morning toast. Pour the nuts and chocolate chips into the bowl of a food processor, mini-chopper or blender. Press the button and wait while the machine pulverizes the nuts, melts the chocolate and turns the whole mess into a smooth, spreadable butter. If the texture is still too grainy for your liking after 2 minutes of processing, add the cream or milk and continue for another minute. It will never get as smooth as Nutella, but then again, it's a lot less like a candy bar and a lot more like nuts plus chocolate.Spread on toast. No one will argue if you scatter banana slices on top. Hi there! New reader here. :) I just wanted to let you know that after about five minutes of scrolling through your "vegetarian" tag, I am definitely going to follow your blog. And this is a first for me; I usually don't follow blogs unless they are nail polish related! Oh Fitzy, I'm honored to be your first food blog! And wait...did you say there are blogs about nail polish? Do tell. You bet there are. I'm one of them! There are actually a LOT of nail polish blogs out there. All you have to do to find one is type the name of a nail polish into google. Chances are someone has already posted it on their blog!